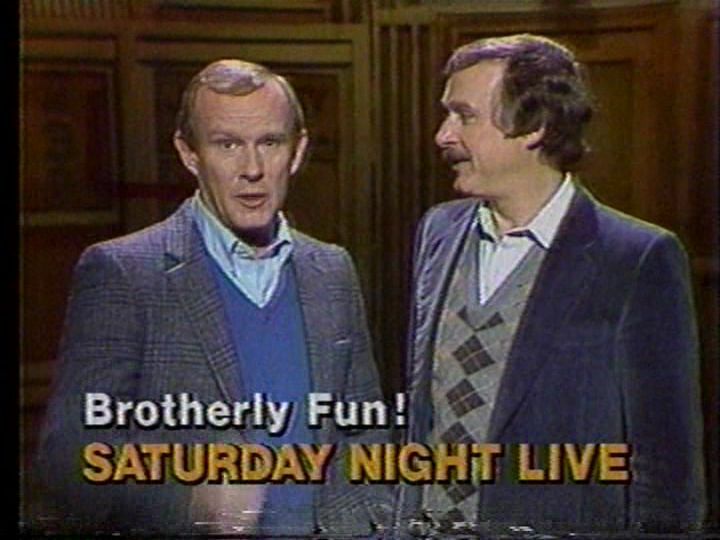 I will be postponing my reviews of the 1984-85 season of SNL until further notice. If you enjoy my reviews, please feel free to make a donation to my PayPal account to help cover the cost of hosting and my domain name. Due to my current contract employment coming to an end, Classic SNL Reviews will be on hiatus indefinitely while I focus on looking for (paid) work. To keep this blog updated, I've decided to hold another poll. No review this weekend; I'm at a break in my notes, so I have to sit down and watch the last nine shows of the season soon. In the meantime, I made a massive Spotify playlist of the recorded versions of nearly every song that's been performed on SNL over the last 40 years. There are a few artists and songs that had to be omitted due to them not making their work available on Spotify (looking at you, Neil Young and Prince), but this is still well over 1500 songs, mostly in chronological order. One thing I noticed: the quality of the musical guests really bottomed out in the late 90s and early 2000s. 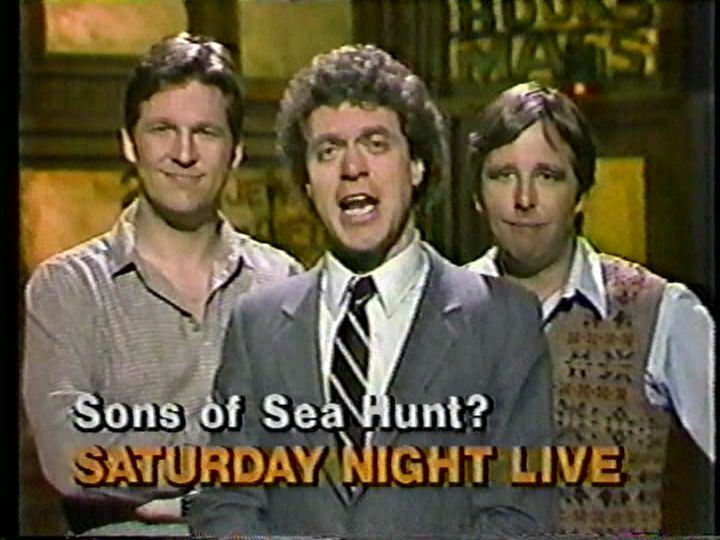 Never forget: at one time, SNL found it appropriate to book Creed on the show. Things have stabilized around here, but I'm still a little behind schedule, and have to ease myself back into "reviewer mode". I will post the Jerry Lewis review on October 24, and attempt to keep to a weekly schedule thereafter for the remainder of the 1983-84 season's reviews. Thank you for your continued support for this blog. I'm still trying to figure out what this is all leading towards, but it's nice to know other people are as interested in finding out about a neglected chapter of SNL history as I am about writing and researching it. As well, if there's any additional background information I may have missed, please get in contact with me at bjdwsm@gmail.com or leave a comment. I'm always interested in finding out sketch writing credits, notable show personnel appearing on-camera, and other background information. This is unlikely, but I would also love to get my hands on the paperwork that lists the show rundowns with any dress rehearsal cuts, or any additional details about the editing done to the repeat versions. Most of this information I put in my reviews is original research comparing different copies of shows I have access to, but the amount of editing done to the post-1985 shows will make this a lot more difficult, if I decide to continue on with the reviews for that era of the show. 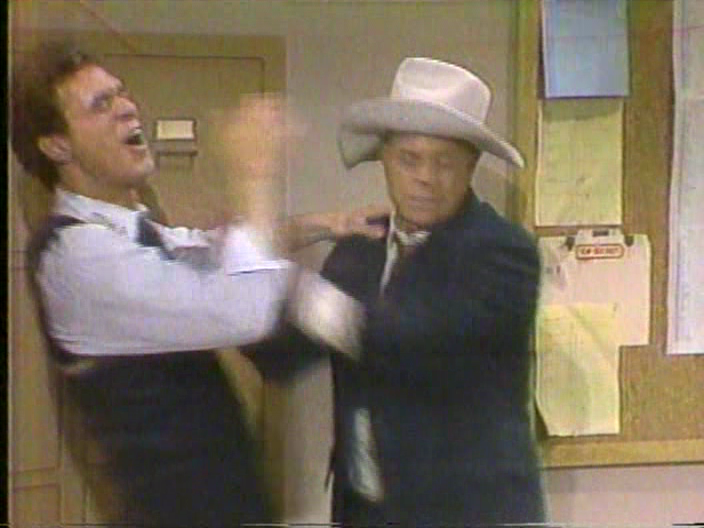 I had originally planned to post the Jerry Lewis review last week, but some real life stuff made me decide that posting reviews about thirty-year-old episodes of SNL episodes wasn't as big a priority that week. I was intending to post my review today, and was actually working on it this afternoon, but the power flickered at my apartment for a few seconds; it didn't go out, but when I tried to save what I had already written, Squarespace froze at the "saving" screen for a few minutes. I ended up closing the browser to see if the save took. It didn't. With a potential thunderstorm on the way and the general hotness and mugginess of my apartment, I decided to not stress myself out with trying to get this done tonight or this weekend. I'll have the review posted for next week, but after that I'm taking a break from the SNL reviews until the new season starts. I was originally considering going to a bi-weekly schedule, but the effort it takes to write these reviews needs to be diverted somewhere else for the time being. I appreciate your visits to the site as well as your comments and feedback, and thank you for your continued patience. The review for Jerry Lewis / Loverboy will be up August 29, while Smothers Brothers / Big Country will be posted on October 3. UPDATE (9/5/15): The Lewis review will come when it comes, but Smothers / Big Country will be posted as scheduled. I've decided to resume the 1982-83 reviews this month; any episode where I have an edited repeat version will be done with my existing copy of the show, and will be altered/corrected accordingly if I get a more complete airing of the show, and will continue on through the rest of the Ebersol in order after the "season in review" posts. I'm still planning to only do one SNL-related post a week (review or otherwise), but you can expect the review of Howard Hesseman / Tom Petty & The Heartbreakers to go online around January 24. I'm trying to decide when I'll come back to posting SNL reviews. They're my "bread and butter" when it comes to generating traffic for this site, but at the same time I hate pigeonholing myself into one-trick-ponydom by only writing about the show, and I worry that I can't appreciate anything else on the level I've devoted to SNL. Then there's the concern that I've exhausted my supply of things to write about the show itself, or that I should save the time and effort I've put into getting my opinion on the show into something that pays me money or advances my career. The process of writing each review is fairly intensive: I watch each episode two times, one to take notes, and one to do screen captures and fill in gaps from my first note-taking procedure. I also do a little research regarding pertinent information for each show. If I know there's an alteration in the rerun, I try to confirm what's different. Then there's the whole issue of translating rough notes into sentences that accurately convey what I felt worked and didn't work in each show, with enough evidence to back up my viewpoint. I also have to worry about the stats for the back half of the review. The whole thing is time consuming, a little tedious, and frustrating at times, but I'd be lying if I said I didn't feel some validation from everyone who has told me they enjoy my perspective. I want to wait until I have access to the original airings of the Bruce Dern and Susan Saint James shows before I post those reviews, but I might as well try to get the Howard Hesseman and Jeff & Beau Bridges episodes posted as soon as possible. I've been keeping this blog inactive too long, so I need to come up with something else to post regularly in the interim, but do I just pick another season of SNL? Should I give my thoughts on the current season, which aren't especially favorable to the cast and writers? Try writing about a new TV show, or attempt to write about music, literature or film? We'll have to see what eventually posts here. I'm taking another break from the SNL reviews; there are a few things I'm working on that take more priority than this side project lately. While the process to watch, screengrab, research and write these reviews takes a little more effort than I'm willing to put into lately, I'm also waiting until I get access to some original airings of a handful of shows with missing content. I haven't been thrilled with this season either, which seems particularly lifeless. Jim Carrey may bring the energy level up this week, and Chris Rock / Prince is the most exciting lineup the show's had in a while, but I'm not confident either will transcend the mediocre writing that's plagued the show for six seasons. After all, Bryan Tucker can just write "KENAN REACTS" into a script and it will likely be accepted for air. I need the sleep anyway. Not sure what I'm going to do for content in the meantime. It may be time to re-evaluate my focus. 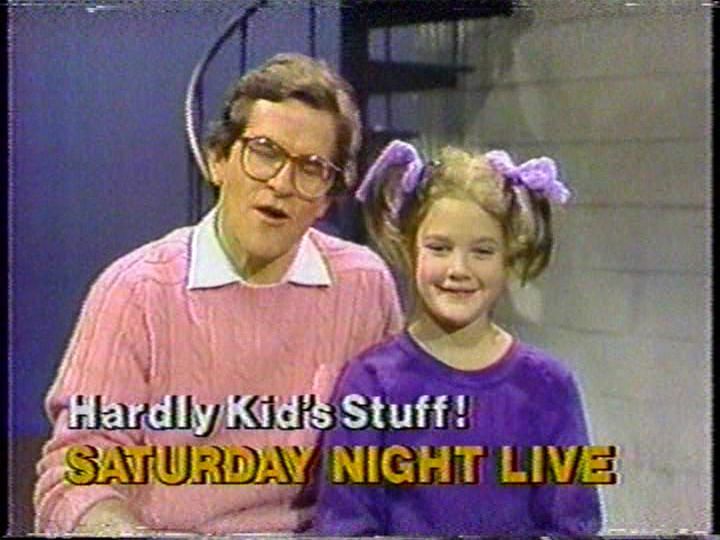 I'll be resuming my reviews of SNL's 1982-83 season in the coming weeks; I've been working on other projects lately, as well as the whole business of working and having a life outside of watching a sketch comedy TV show, though I admit this whole SNL thing has put me into contact with some very interesting people. I still haven't decided whether to continue through the rest of the Ebersol era once I finish that, or to skip ahead (or back) to a Lorne Michaels season, but I'm considering having a dual review track for different days of the week, where I have the SNL review on a certain day, and another review (either SNL or another series) another day of the week. I will not review the upcoming season of the show because there are a number of websites that already do this, and I feel that I can't help but be overly negative (and redundant) when evaluating the newer shows due to my bias against certain performers and writers. I've also decided to change my regular review process; I originally had it set up where I would do an initial viewing for taking notes, then screencap and finish that specific episode, but I've decided to do my notes for the season's remaining episodes ahead of time, then work on the next review (Smothers Brothers/Laura Branigan) after that's finished. A number of the remaining 1982-83 shows are going to be from recordings of reruns where some content is missing or the correct running order hasn't been confirmed; I will review as much of the show as I have access to at the time, but will revise accordingly once I have access to recordings of the live broadcasts. The next review won't be finished until sometime later this month, but in the meantime I'm going to leave you with some stills from promos of that season's shows; these usually aired during the midnight station break when NBC was showing SCTV Network on Friday nights. I still haven't bothered watching the beginning of the Kerry Washington show; I did watch the Lady Gaga episode but I don't think I'll be posting a post-mortem on the show. I actually found myself a little distracted and eager for the show to end last night, and not in any mood to regurgitate details of the show for my review, which would have been another variation of "the cast is strong, but the writing lets them down". Even Lady Gaga, whose whole raison d'etre is to draw attention to herself, seemed like she was grasping at straws with her performances: the dry-hump with R. Kelly almost seemed like a parody of the lengths she goes to in performances. My response to this was simply "And....?" I see the show still has these bright spots, but the fact is I don't feel like staying up until 2am my time just to watch SNL anymore. If there's something going on in the real world, I'd rather do that than watch something that will be mostly made available online the next day anyway. There's always the chance something infamous may happen in the live show, or the audience may be witness to the birth of a new classic, but when was the last time either happened? I watch it because it's a routine more than anything. I may tune in to see a particular guest or to see if there's a big change after Seth Meyers finally leaves the show, but the show just doesn't have the importance it once held for me. I would have thought that the thing that would have turned me off the show would be another disastrous season on the level of the Janeane Garofalo/Michael McKean year, but I honestly have no problem with the cast in general; most of them are very strong performers who find ways to work with whatever they're given. I just don't know if SNL is really the best use of their talents anymore. Landing a spot on the show is an achievement and a way to get name recognition, but I can't get over the feeling that they rein themselves in to belong to the institution. I still plan on completing my 1982-83 reviews, but afterwards I'm going to take a long break from dissecting the show. I'd rather watch to be entertained than watch to analyze; I have other priorities, and there are only so many hours in a day.